Reports are suggesting that the guitarist was left with a stab wound in the back of his head after an "altercation" with his brother. 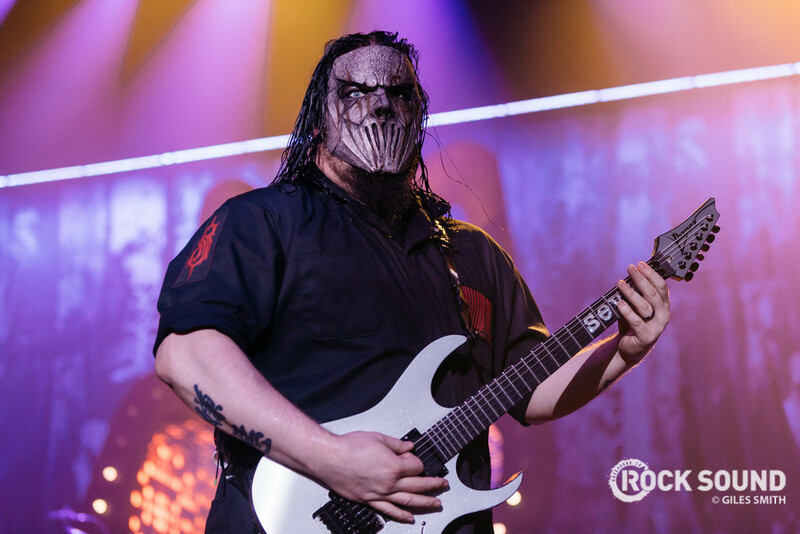 According to various reports in the US, Slipknot guitarist Mick Thomson has been stabbed in the back of the head. The Des Moines Register is reporting that police arrived at a house in the city at around 4:25am local time to find two brothers - Mickeal Gordon Thomson, 41 (Mick's birth name) and Andrew John Thomson, 35 - "apparently drunk, with serious but not life-threatening stab wounds". Both men were taken to hospital. Local news site KCCI is also reporting that according to police, a caller said "two brothers were fighting in the front yard with knives." They go on to say that the brothers were involved in "some sort of altercation inside the home" which then moved outside. They continue: "Officers said both men appeared to be intoxicated and had serious injuries consistent with a fight." It's worth noting at this point that there's a chance it isn't Mick from Slipknot, but all signs point to one of the two men in hospital being their 41-year-old guitarist.